Katrina & Ian Harvey-Winstanley have been successfully running their own Kleeneze Business since February 2003. They have offices in both Manchester and Cornwall, and have a regular personal Kleeneze turnover of approximately £2,000 every 4 weeks, and a combined Kleeneze team turnover of approximately £10,000 every 4 weeks, which places them in the top 5% of the Kleeneze Network at the "Kleeneze Gold Distributor" level, and in a position to offer their Kleeneze team a wealth of knowledge & support based on their many years of experience both retailing and recruiting. Their aim is to help as many people as possible run their own Kleeneze Business by giving them all the support they need on a friendly 1 to 1 basis as well as through hosting their own 4 weekly Kleeneze Business Webinars. These online Kleeneze "meetings" are designed for both existing Kleeneze Distributors and for anybody who may be looking at the Kleeneze Opportunity for the first time to help them decide if Kleeneze is the right business for them. This Kleeneze team website is designed to provide a host of information and resources available to everyone throughout the Kleeneze Network, but particularly for Katrina & Ian's own Kleeneze Team which spans the whole of the UK, from the NorthEast right down to the far SouthWest. 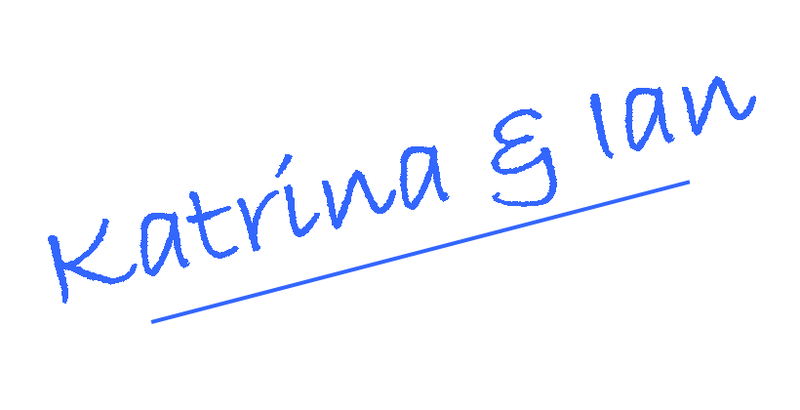 Please be sure to revisit the site on a regular basis, as the content is continually being updated, and if there is anything in particular that you would like to see added, please let Katrina & Ian know - their contact details can be found below. "We know you will enjoy the world of opportunity that this amazing Kleeneze Business offers. You will find Kleeneze is fun, educational and empowering. You will get to mix with other like-minded, positive, upbeat people who are also interested in making a constructive difference to their lives and the lives of others. Above all else you will find Kleeneze is very profitable - that's if you approach your Kleeneze Business in the right way. Hence the reason for this Kleeneze website, to help you on to the right track from day one with our tried and tested 'tools of the trade'. We have tried to keep this Kleeneze website straightforward and simple but at the same time comprehensive. If there is anything that needs clarification please talk to your Kleeneze sponsor, or contact us direct for a chat. We are available using the contact details found at the bottom of emails received from us, or you can leave a message on our Kleeneze EzeReach voice mail system 24/7 on 0161 660 9867. Enjoy your Kleeneze journey - we wish for you the lifestyle, peace of mind and financial security that so many others have already obtained through running their own Kleeneze Business. Click on the image to the left of the file to open it. Brian Tracy - Eat That Frog! Sohail Ahmed - Does Kleeneze Work?